In a ‘watershed’ moment for European migration policy, following the death of Syrian toddler Alan Kurdi, a system was created to see 120,000 refugees relocated from Greece and Italy to other European countries. However, Europe is failing to maintain the promise of relocating refugees, with 57,000 refugees living in squalid conditions in Greece alone, with no word on their future. 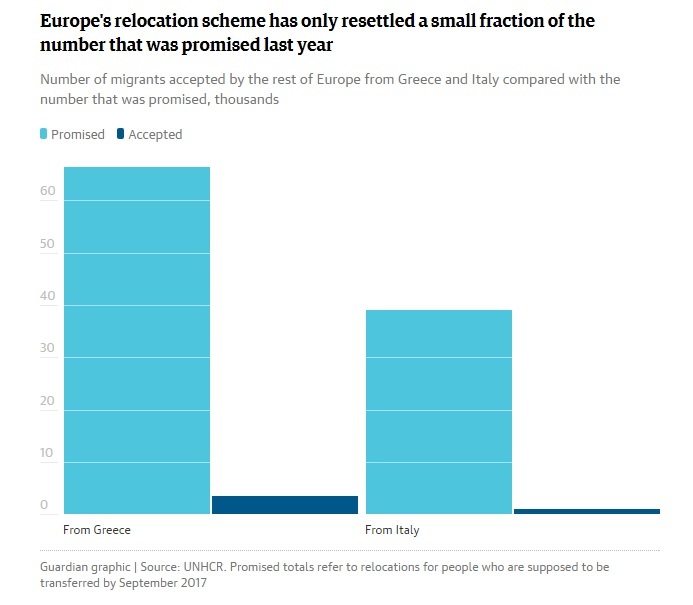 The graphic below evidences Europe’s severe failure in relocating refugees compared to its pledges. More needs to be done to increase refugee relocation across Europe.